I love using travel blogs to research destinations. Blogs have the personal opinion and authenticity most guidebooks are missing and it’s great finding a likeminded to make suggestions you know you’ll love. 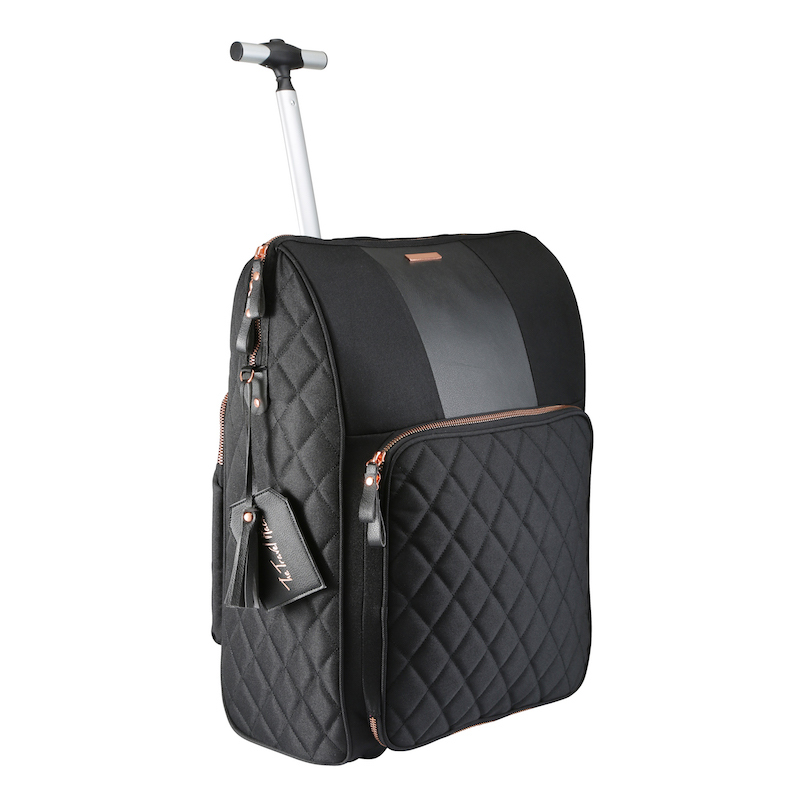 I used loads of travel blogs when researching my trip to Budapest. I’ve collated some of the best travel blog posts about Budapest to bring you the ultimate travel blogger’s guide to Budapest! If you’ve written a travel blog about Budapest, please feel free to add it to the comments below! Elle put together this list of 10 of the best things to do in the city to help visitors to decide what they simply can’t miss off their Budapest itinerary. From relaxing in one of the city’s famous thermal baths to trying traditional goulash at Budapest’s Opera House, this top 10 guide to Budapest is great for first-time travellers to the city. The Fisherman’s Bastion is one attraction that should be on every visitor’s itinerary for Budapest. It’s a busy place so I thoroughly recommend visiting the bastion early in the morning. Here’s some of my tips for visiting the area, as well as some of the photos I captured in the early morning light. If you think you’ve ticked off every attraction from your Budapest guide, think again! Adventurous Miriam has put together the ultimate list of Budapest sights and activities with this aptly titled article, ‘A really long list of things to do in Budapest’. You’ll find some great additional things to add to your Budapest itinerary in this list, such as visiting the city’s ruin bars. Another fantastic guide to Budapest and its most popular attractions. In this article The Crazy Tourist gives a comprehensive insight into 25 of the best things to do in Budapest. Features on this in-depth Budapest itinerary include the majestic Parliament Building and a visit to Heroes’ Square, as well as 23 other fascinating sights and attractions. Budapest is a great destination for a short city break across the weekend, something that Ewa discusses in depth in this great guide to Budapest and what to squeeze into a condensed visit. As well as some attractive photography, Ewa lists 25 of the tops things to do in Budapest – perfect for helping you form your must-see list. Yaya and Lloyd from Hand Luggage Only share inspiration for the perfect weekend itinerary for Budapest. The article gives a great guide to some of the top attractions in the city and how best to incorporate them into your visit, from soaking in thermal baths to admiring striking Hungarian architecture. If you’re the kind of traveller who gets inspired by stunning photography, look no further than this gorgeous selection of photos from Monica at Not A Nomad Blog. 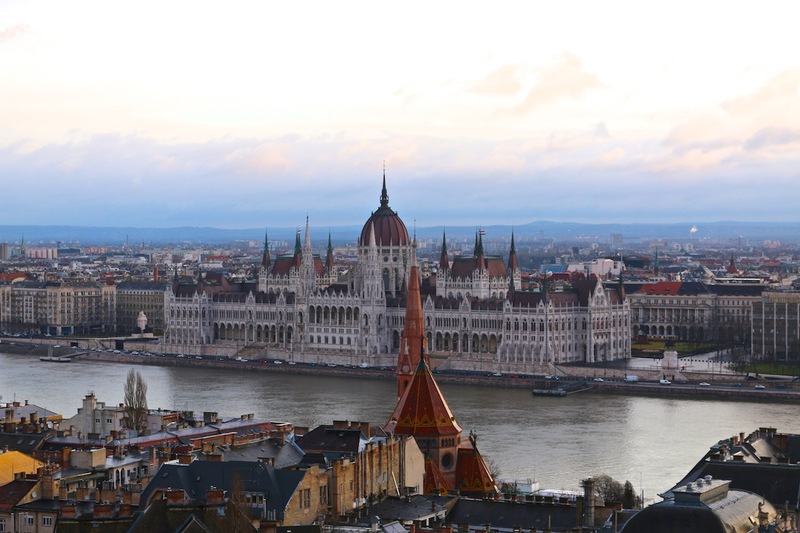 As well as sharing some wonderful snapshots from the city, Monica has also put together a handy guide to Budapest which includes all the ins and outs of visiting the city and appreciating its attractions. Emily from The Cosy Traveller has put together a fantastic Budapest guide, listing all of the worthwhile sights and attractions to pop down on your Budapest itinerary. This great read will help any holidaymaker who is heading to Budapest and is need of some inspiration and information, listing 21 things you need to tick off during your visit. Katie from Real World Runaway has put together this fantastic guide to Budapest, dividing the article into an introduction, a list of things to do, advice on how to get around and some of the best places to stay in the city, from budget options to more luxurious choices. The top tips at the end are particularly helpful and ideal for helping you put together a Budapest itinerary. Another in-depth and informative Budapest guide, this time from Dannielle at While I’m Young, she has put together a great three-day itinerary for Budapest, perfect for those heading to the city on a long weekend break. Offering some great tips on where to stay, how to get around and how best to divide up your three days, this is an ideal article for first-time visitors to the city. 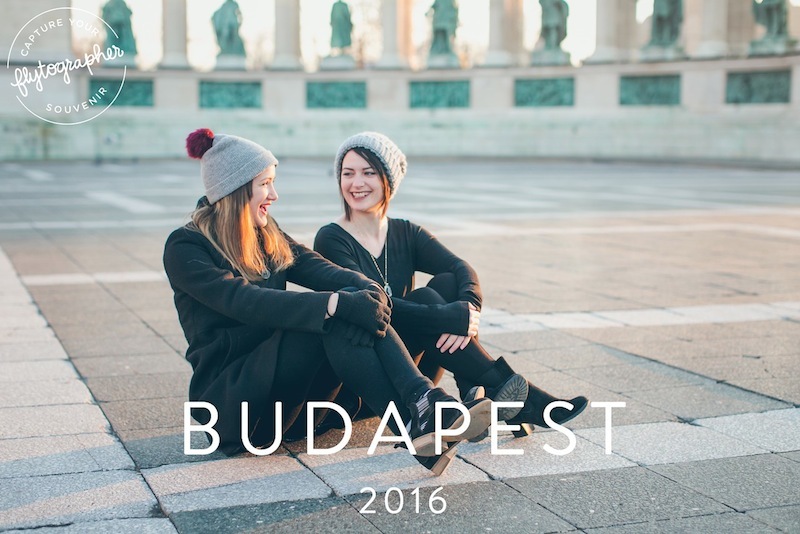 Sabina from Girl vs Globe has put together this great guide to Budapest, detailing all the best things to do, the best places to eat and where to stay, as well as giving advice on getting to Budapest and where to go out in the evening. Her discussion on Budapest’s ruin pubs is particularly appealing – definitely one thing to stick on your itinerary for Budapest. Another ideal three-day guide to Budapest, featuring lovely imagery as well as some very useful maps, this piece from Mehek at Maps and Magnets is easily digestible and very detailed. Picking out the best attractions to visit across your three days, as well as providing some greater insider tips on how to best appreciate them, this is a useful guide for any visitor to the city. If you’re looking for a budget weekend trip in Europe, you’ll be pleased to know that Keri and Emma from Girls What Travel have written a piece with you just in mind. Detailing the cost of a trip to the Hungarian capital, this is a great guide to Budapest and how to get the most out of your money during a three-night stay in the city. Stuart from The Urban Travel Blog has written another great Budapest guide, producing an ideal long weekend-centric piece that details everything from the must-see attractions and where to stay, to off-the-beaten track sights and a range of experiences and events. 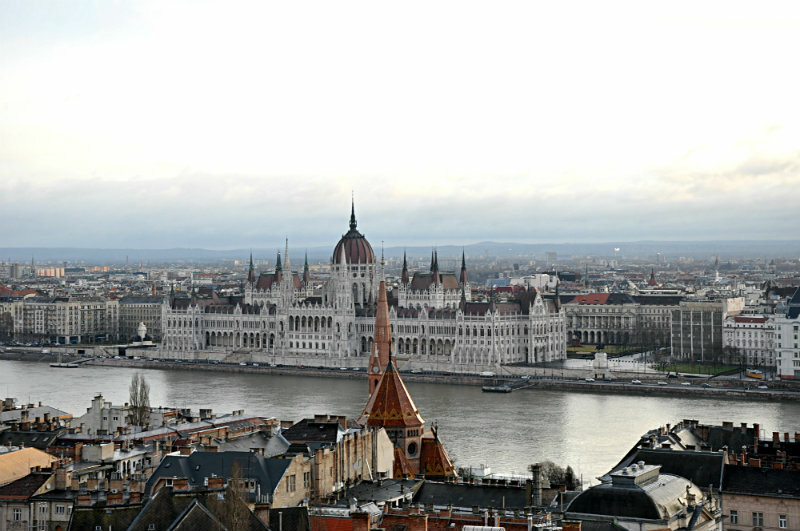 You’ll find your Budapest itinerary growing rapidly after reading this piece! Budapest’s thermal baths are one of the city’s most famous attractions and something you have to get on your itinerary for Budapest. Adelina from Pack Me To did just that when she visited the city, and has since put together this informative guide to Budapest and its steaming saunas and pools, including a great section titled ‘9 Tips to Make Your Thermal Bath Visit Effortless’! 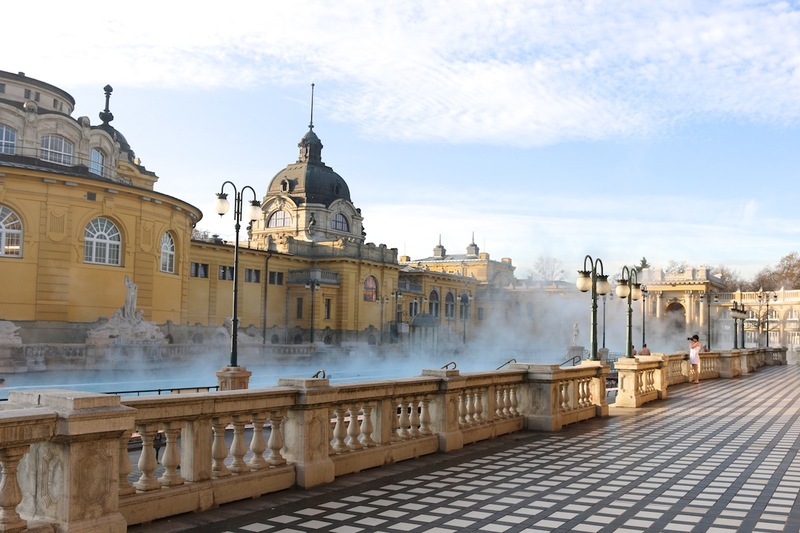 Abi from Inside The Travel Lab is another traveller who has taken the time to put together a guide to Budapest and its thermal baths. This account of an experience of the baths comes from winter and the Szechenyi Baths. Abi did brilliantly to capture the iconic photos of locals playing chess amid the rising steam – you better brush up on your chess skills before your visit! If you’re visiting Budapest for the first time and you’re a little nervous or unsure of the ins and outs of visiting one of the city’s thermal baths, look no further than this first timer’s guide to a Budapest spa visit from Girls What Travel. Soaking in a thermal bath will undoubtedly be on your Budapest itinerary, and this great guide from the girls will make your visit a breeze. A wonderful account of Teri, from The Lover Drawer, and her time in Budapest, this travel journey from the city doubles up as a personal insight into Teri’s experiences and a useful guide to Budapest and the best things to do in the city. 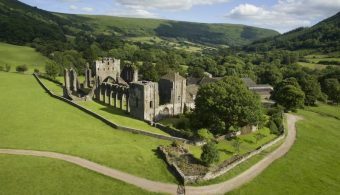 You’ll also enjoy some lovely photography throughout the article, making a visit to the city even more tempting. Milly from Mini Adventures has written this detailed account of her experience of the city of Budapest, which includes a great part about her visit to the Fisherman’s Bastion. The photos she has captured from her trip are gorgeous. Visiting the city as part of a six-day adventure around Hungary, Kiara from Gallop Around The Globe has shared some great photos, as well as plenty of useful information, from her experience of Budapest. From places to stay in the city to the best ruin pub in which to sip some Hungarian beer, Kiara’s piece forms a great guide to Budapest and some of the top things to see and do. There are many fantastic drinking and dining scenes located across the city, and Frank & Lissette from The Travels of BBQ Boy & Spanky have produced this great piece focusing on one of them. Delivering a great guide to Budapest and its famous ruin bars, this piece showcases some of the best of these bars to be found in the Jewish Quarter. Make sure you get Szimpla Kert on your Budapest itinerary! A food tour is a great way of gaining an insight into the dining culture of a new destination, something Ali from Travel Made Simple knows all too well. On her visit to Budapest, she embarked on a food tour of the city and has shared her experience in this great review. From bakery treats to tasty meats, Ali’s piece doubles as a useful guide to Budapest and its food scene. Catherine from Lux Life had already written a great Budapest food guide (listed below), but her experience at one particular café led her to give it its very own write-up. New York Café is one fine establishment to get on your Budapest itinerary, arguably the most beautiful coffee house in the world and an amazing experience as Catherine explains. From a single café to an entire city’s food scene, Catherine’s experience of Budapest and its wining and dining offerings has been written up in this detailed and diverse guide to Budapest and its food and drink. From delicious seafood to ruin pub drinks, you’ll find some gems on here to help you form your perfect itinerary for Budapest. Another great Budapest guide from Keri and Emma at Ladies What Travel, in this article they have put together an intriguing review of Herend Afternoon Tea at the Four Seasons Gresham Palace. Adding a dose of luxury to your Budapest itinerary, and if the photos are anything to go by, a huge amount of indulgence, this review will have you both drooling and planning your visit to the Four Seasons! This Budapest guide from Amy at The Wayfarer’s Book is all about one thing, dangerously delicious food! If you’re the kind who will put together a Budapest itinerary solely for food experiences, Amy’s article will be right down your street. From the best cakes in Europe to speciality donuts, this is an article perfect for exercising your gluttony! Arguably the best and certainly the most famous ruin bar of this vibrant city, Szimpla Kert has to be on your Budapest itinerary if you’re looking for a quirky nightlife option. Fortunately, Elaine and Dave, from The Whole World Is A Playground, have produced this in-depth review of their experience of the bar, sharing some great information and tips, including a guide to the various rooms that comprise this ruin bar. Emma, the London Kiwi, has produced this top restaurant guide to Budapest, sharing a selection of her favourite places to eat in the Hungarian capital. Splitting the article into useful headers that include ‘breakfast’, ‘ice cream’ and ‘drinks’, you’ll find this post extremely convenient for putting together your wining and dining itinerary for Budapest. Cristina from Chasing Travel is another travel expert who has collated her culinary experiences of Budapest into an in-depth and useful guide. As she says, ‘when you’re hungry in Hungary, it’s not such a bad place to be’. This philosophy is seemingly reinforced by her great guide to Budapest and its must-try foods, from Pörkölt stew to paprika chicken, Cristina makes some delicious suggestions throughout her piece. Showcasing the quirky, artistic and unusual characteristics and attractions in Budapest and its Jewish Quarter, this is the perfect Budapest guide for those looking to step away from the typical tourist trail in the city. Tommo and Megsy from Food Fun Travel have highlighted the colour and quirk of the city’s ruin bars, the striking quality of the Jewish Quarter’s street art scene and the general alternative opportunities to be found across Budapest. Adding some memorable and unique attractions to your Budapest itinerary, Yasmine from Peeking Duck has put together a great guide to Budapest and some of its more unusual sights. From a donut library and colourful street art to vintage shopping and artisan dining, you’ll discover some great variety in this intriguing post. Gemma and Craig from Two Scots Abroad show that there is plenty of scope for experiences outside of the city during a trip to Budapest. If you’re the sort of explorer who would love to add a daytrip outside of the city to your Budapest itinerary, perhaps a cave bath or a wine experience will tick your boxes? Check out this great guide to attractions beyond Budapest for some inspiration. It was all about splendour and the spa during our stay at the beautiful Corinthia Hotel in Budapest. I loved the grandeur of this gorgeous hotel but is it really worth it? The spa was lovely but the rooms weren’t great for a 5* hotel. When it comes to choosing somewhere to stay during your trip to the city, there are a great range of Airbnb options to consider, and Emily from The Cosy Traveller has highlighted nine of the most stylish to consider for your Budapest itinerary. From swanky converted lofts to designer apartments that wouldn’t look out of place on MTV Cribs, this is a great mini guide to Budapest and its fantastic choice of Airbnb treasures. For another unforgettable five-star experience in the city, Catherine from Lux Life has written this fantastic review of her stay at Le Meridien, with its breathtaking view across St Stephen’s Basilica. If you want your Budapest itinerary to be one of luxury and glamour, you’ll struggle to find a more rewarding stay than that showcased by Catherine in this in-depth piece. In this article, Emma reviews her time spent at Hotel Moments, a stunning hotel that would be the perfect place to stay for an art lover. This detailed review reveals all of the ins and outs of a stay at this wonderful hotel – the giant breakfast sounds particularly appealing! The location of Hotel Moments is also a plus, as Emma reveals, with only short walks leading you to the Opera House and Szimpla Kurt – two attractions you need to stick on your Budapest itinerary. Need more reasons to visit Budapest? If you’re looking for some extra inspiration that will see you booking your trip to the city, The Travelettes’ guide to Budapest and all of its most appealing characteristics is sure to get you setting the dates for your city break here. Offering 10 reasons to fall in the love with Budapest, from affordability to the range of vintage stores, this post will give you all the motivation you need to get booking. Laura and Tanbay, from Travelling Weasels, continue the theme of inspiration and enthusiasm, sharing their 10 reasons that you must visit Budapest. Doubling up as a useful guide to Budapest – the local lingo video is pretty useful and hilarious! – the Travelling Weasels’ reasons for hitting the city will be more than enough to get you dreaming of a Hungarian adventure in the future. And finally, from The Travel Hack, we share some of the most photogenic angles from one of Europe’s most attractive cities. From the core sights and historical corners, to the steaming baths and the pretty churches. You’ll want to get most if not all of these features crammed onto your Budapest itinerary, and hopefully you can capture some stunning photography of your own during your visit to the Hungarian capital. Like this post? Follow along! Thanks for including my food tour review! Budapest is such a great city, and I really want to go back someday and see more of it. We didn’t even make it to the baths while we were there! I love this wrap up of Budapest posts! I can’t believe I’ve never been before. I definitely have to make that right this year or next! I can’t wait to see Hungary, it looks like such a beautiful country. Thanks for the wonderful post! I hope you have a wonderful hump day! I love this series! It’s so useful to have so many bloggers’ tips for travel in a city in one place. Budapest has been on my list for a while so I’ve bookmarked this page for inspiration. I hope that someday I can visit Hungary. Some of my roots are there. Great video Jens, thanks for sharing!